Chiltern Foods were looking to open up a new food processing and storage area that involved a large complex of chilled fridge and freezer rooms but did not wish to waste this space above these areas and took the advice of HMF to install a mezzanine floor for storage purposes. Since forming in 1991 Chiltern Foods are the UK’s leading sandwich and salad producers in the UK and they needed to expand within the eastern area to complement their current operation in Aylesbury, Oxfordshire. The solution was a Hampshire mezzanine floor, a free standing structure with columns penetrating the roofs of the fridge and chiller areas including an access staircase, perimeter hand railing and a sliding access pallet gate. 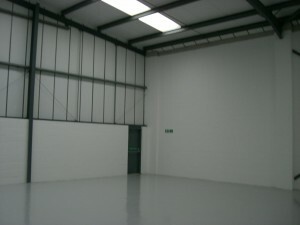 Hampshire Mezzanine Floors also fitted out the first floor offices for Chiltern Foods to suit their operational requirements. 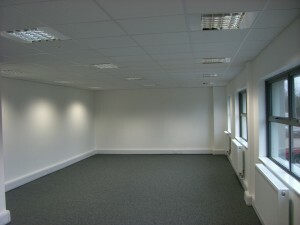 The partitioning was a 75mm office partition with sound insulation in the cavity including three bay window modules and the doors were painted to match the existing painted doors in the original building construction. The mezzanine floor was designed to support pallets weighing up to half a tonne and was designed with minimum bracing to enable efficient usage of the ground floor areas. The programme was completed in three weeks and the mezzanine floor was installed before the chiller and fridge areas were constructed. HMF completed the project on time and within budget. 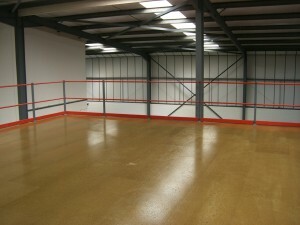 Hampshire Mezzanine Floors look forward to doing future work with Chiltern Foods.